Liam Neeson is currently filming the somewhat controversial movie Hard Powder in the Vancouver area, and one particularly clever sandwich shop decided to capitalize on his presence with a perfect photo opp. 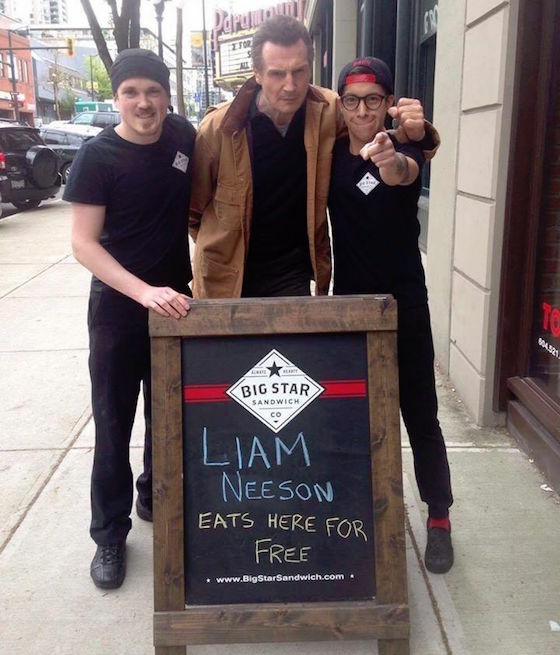 The Big Star Sandwich Co. in New Westminster lured Neeson to their shop with a hand-written sign that read "Liam Neeson eats here for free." According to TMZ, Neeson was on a break when he stormed into the shop saying, "Where is my free sandwich?"